Last week, we attempted to print a floor plan of the first floor of Carrier with Braille attached. Unfortunately, the print was not clear – therefore we re-grouped and came up with a new plan. On Monday, we attempted to tackle a new floor of Carrier. The third floor. Using Fusion360 we were able to extrude certain rooms, and then place them on top of our already extruded floor plan on TinkerCad. We then imported Braille which states “Third Floor Carrier Library” on the floor plan. We are printing and hoping it prints correctly. This week we’ve been deciding on ratios and assuming our prints come out well after class we’ll bring it into the office of disability services to check if it’s up to standards braille. 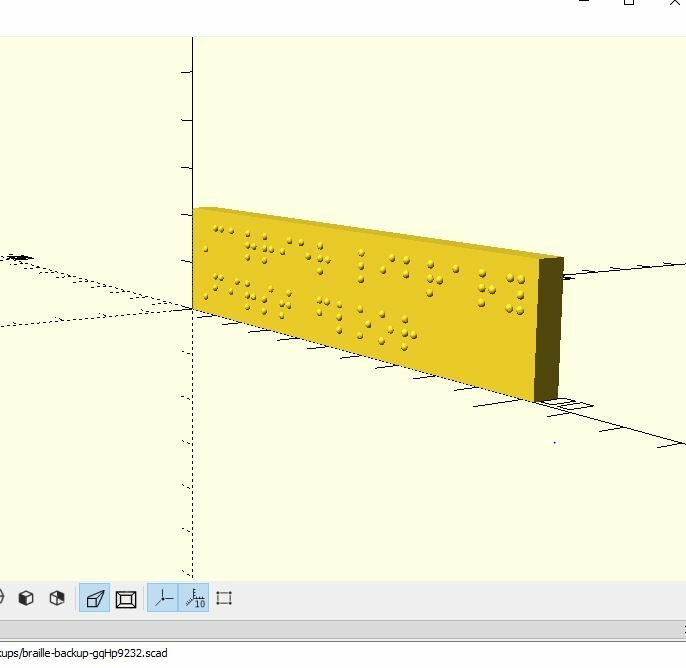 With the OpenSCAD software, we have begun compiling a folder of documents of the braille we will need for the maps because the rendering process takes a while and it would be more efficient to do so. We will continue to create and compile the necessary labels that would be relevant and useful for the visually impaired over the next week. Once we compile the necessary labels, we can export them to tinkercad where we have our maps and can try combing them. 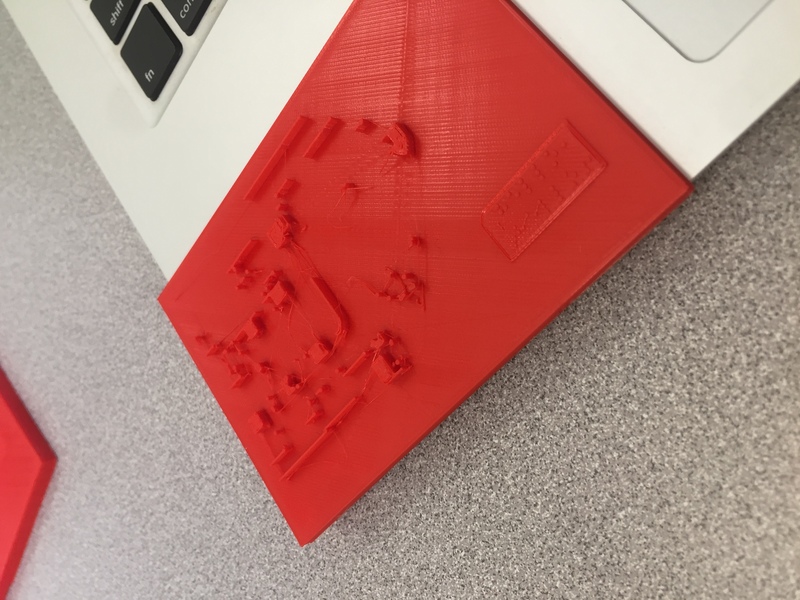 With OpenScad, this says Carrier Library, first floor in braille and we will continue to compile the rest of the words we will need for our maps and figure out where to place them on the maps. Our presentation will be a proposal for implementation for James Madison University. 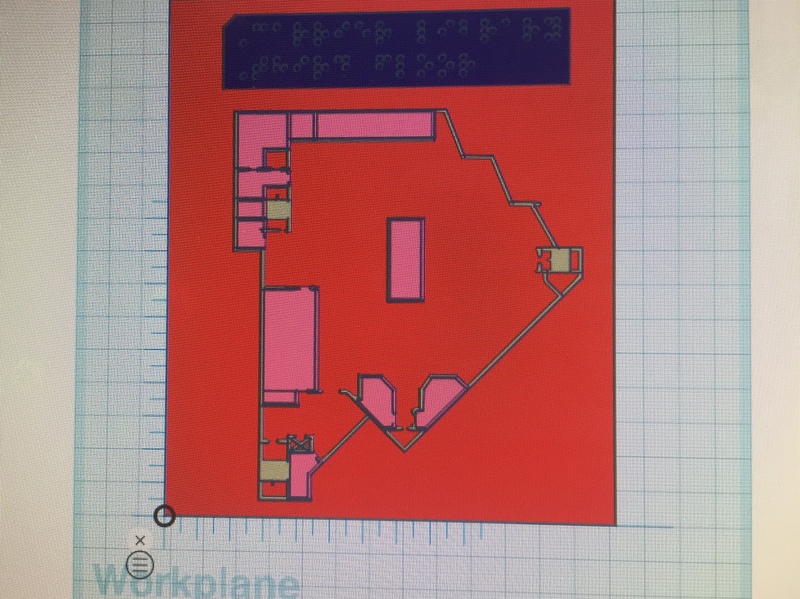 We hope to encourage JMU to utilize our floor plan 3D prints in every building and floor on campus. 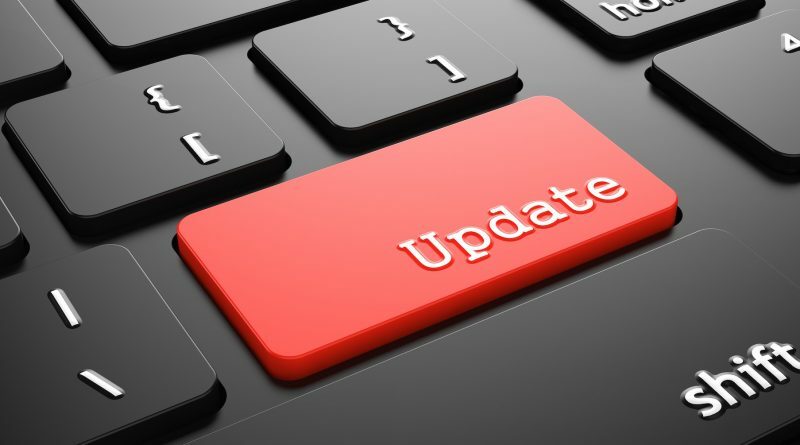 We understand that we will not be able to print every single floor plan of every building but we hope to outline the specific steps that we took to achieve a successful floor to encourage other students or faculty to continue the project. Written in high-level terms, it is easy to follow and be very do-able.